In 1939, John Rogers, son of James and Eliza Rogers of the Glencoe community, bequeathed $25,000 to the village of Dodge to be used in the erection of a public library to be known as the John Rogers Memorial Library. The trustees suggested by Mr. Rogers to erect the building were Richard H Holsten, Will R. Harabak and Mrs Bess Simanek. The building could not be built due to the war and no permit could be secured. In August 1953, a contract was entered into with Leo Woerth & Co. of Columbus, Nebraska. The total cost was $30,504.51. The proposal called for a 19 foot 9 inch by 40 foot 4 inch structure with a full basement and one story brick veneer building. The new library was to be erected on the corner property, formally the site of the Congregational Church (Lots 8 & 9 in Block 11 located on Second Street) just east of the Dodge Public School . The Dodge village board appropriates a sum of money in its budget each year for the maintenance of the library. Mrs Esther (G.J.) Srb was president of the library board for 24 years, and Mrs Edna (Oswald) Peters was secretary-treasurer for 25 years. She had the responsibility of keeping records, paid the bills, and kept the budget. She also ordered the books. Other board members were Mrs Leona (Al) Clement, Mrs Frank Uher and Miss Marie Prochazka. Mrs Joe R. Marsoun, was typist for the committee. 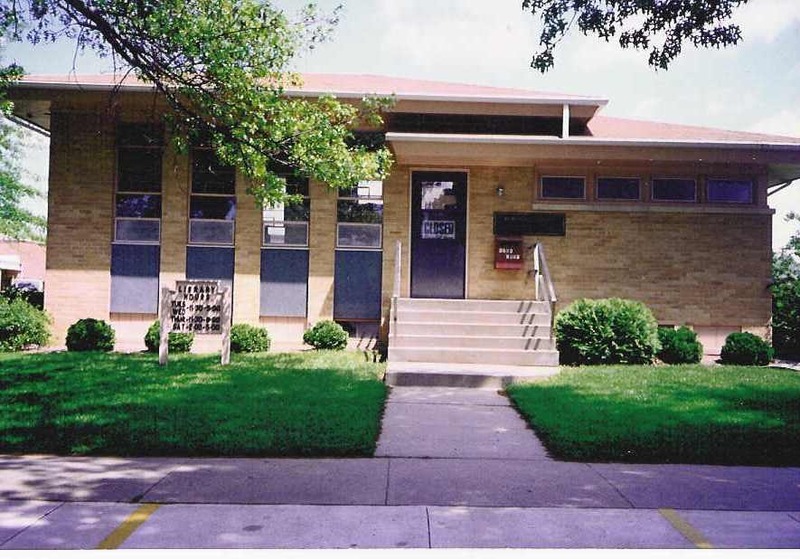 Before the library was built, the Women’s Club which was active in Dodge until the early 40’s was instrumental in sponsoring a library housed in the public school. The dedication of the library was held Sunday, June 26, 1955. William Janacek, Chamber of Commerce president, was master of ceremonies. The first librarian was Mrs Edna (Emil) Dostal. Imelda Pieper was library director from 1974 to 1995; Connie Pieper & Lynette Faltin 1995-1996; Mary Mandel from November 1996 to December 2011and Jenny Praest from January 2012 to present. Present board members are Lynn Mandel, Candy Recker, Tonja Blaha, Jeanette Jackson, and Marcie Ortmeier. John Rogers Memorial Library celebrated it’s 50th year in July of 2005 with special guests, cake and a book sale. During the past 50 years, improvements at the library include purchase of microfilm reader in 1987, with reels holding issues of the The Dodge Criterion since 1895 (made possible with matching centennial funds); computerization of circulation and the card catalog, computers and the Internet for public access; printers and copiers, renovation of the reference room in the basement in 1994 (new carpet and shelving); display case for hobbies; interlibrary loan for books not available at the library; summer story time and reading program. The library has seen changes such as more technology; video rentals; board and library certification through continuing education; discontinuance of the book van in 1995; paved parking in front of library in 1997. These are just some of the things happening at the library. But most important are the great collections of children’s books, best sellers, fiction and non-fiction books for adults and young adults, audio books, large print books, reference material, magazines, and videos.